Welcome to some weekend fun and entertainment with drones. We spend a lot of time scouring the web for news, information and more on all the great drones around the globe. In our travels, we encounter some fun and funny stuff, and we want to start sharing that with you. Today we will be taking a look Drones created using Lego bricks. Next up in our series, let’s explore some fun with drones and Lego, more specifically making drones out of Lego bricks. 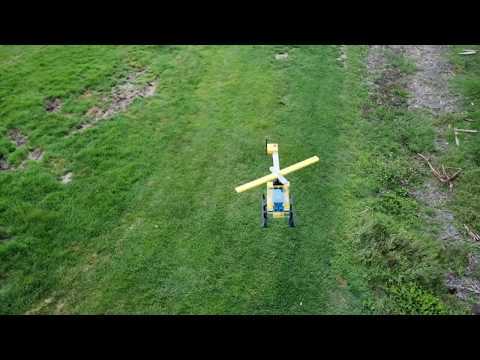 This video by YouTuber ajw61185 takes a normal quadcopter and combines it with an unusual frame. This drone has been integrated with a giant lego lookalike helicopter along with spinning rotors to sell the look. This video by YouTuber alishanmao showcases a more generic looking drone. 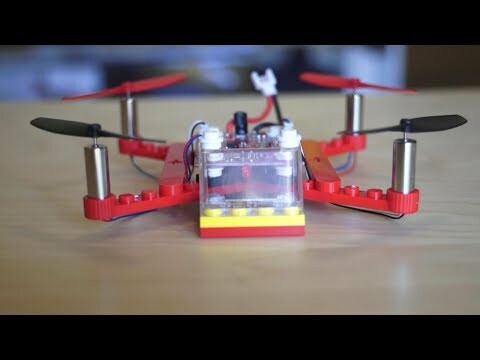 Created with tiny brushless motors, normal Lego bricks, and an Arduino based control board. You are able to get your own Lego bricks to create any shape drone imaginable.